Perform the self-diagnosis with CONSULT. Check that any DTC is detected. 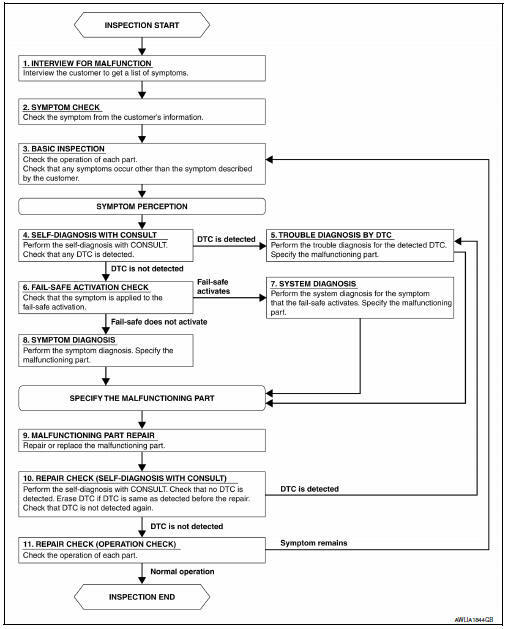 Perform the symptom diagnosis, refer to INL-51, "Symptom Table". Specify the malfunctioning part. Perform the self-diagnosis with CONSULT. Verify that no DTCs are detected. Erase all DTCs detected prior to the repair. Verify that DTC is not detected again.